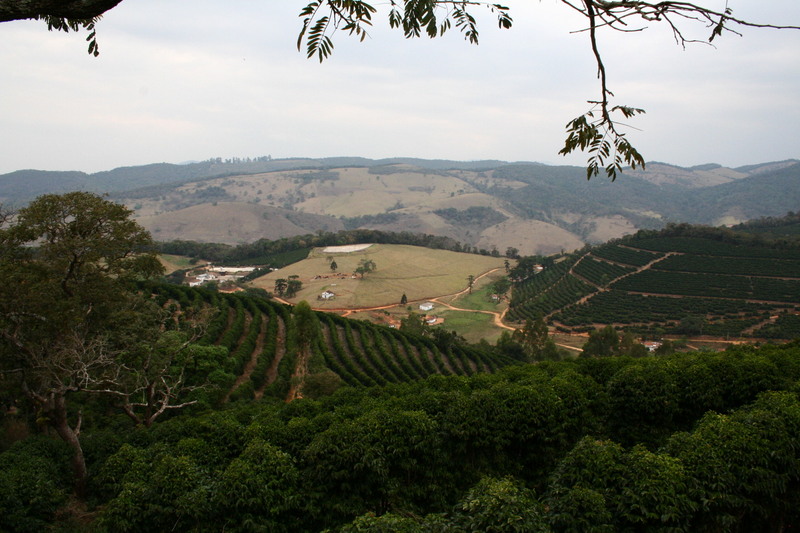 Our Brazil container lands in the UK today, so since the coffees that I selected in October are now here, I thought it’d be a good time to get the blogpost out about my trip! 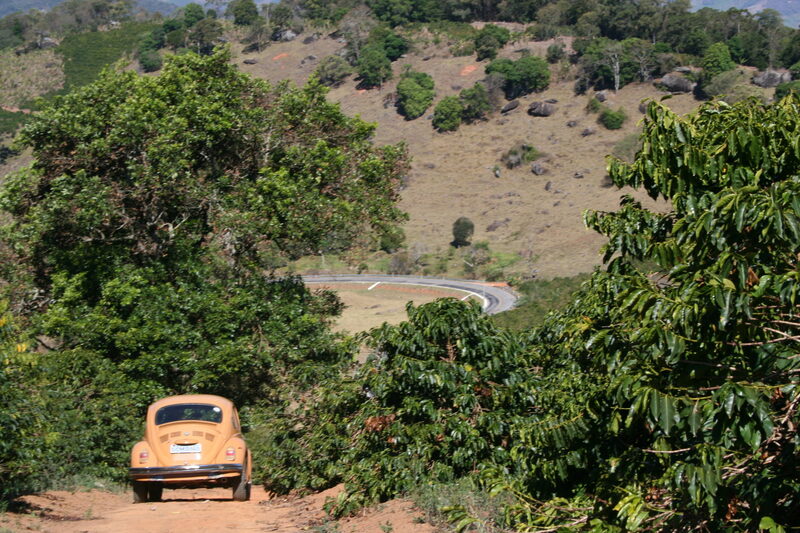 The largest coffee producing country in the world, you really need more than a couple of weeks on the ground as a buyer to even get to know one state of Brazil’s coffee growing area. But when you’re on a whirlwind schedule you just try to focus in and cram as much as you can into what little time you have. 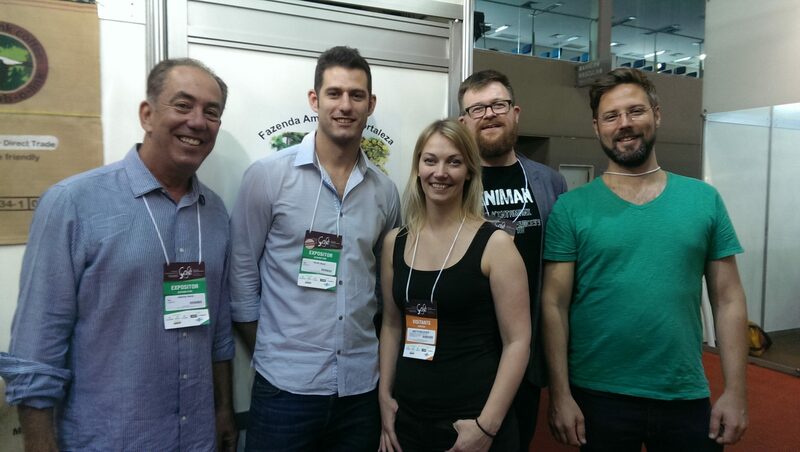 This year I thought I’d start in Belo Horizonte, at the International Coffee Week expo, where exhibitors from all over Minas Gerais would get together to show off their coffee, machinery and equipment, and share their thoughts on the state of the industry. The great thing about coffee shows is that you always run into familiar faces even half way around the world. 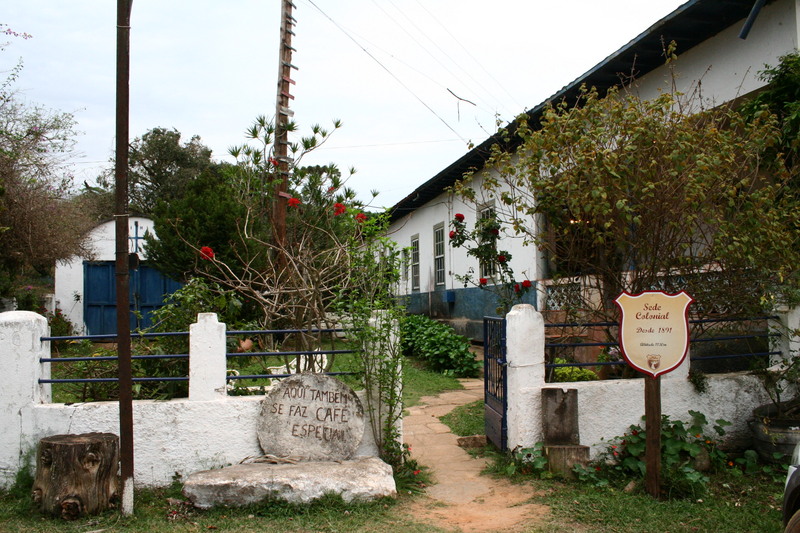 Such as the lovely Marcos and Felipe Croce of FAF, Stephen Vick from Blue Bottle, and fellow Norwegian Eystein Veflingstad who now lives and works in coffee in Bahia. 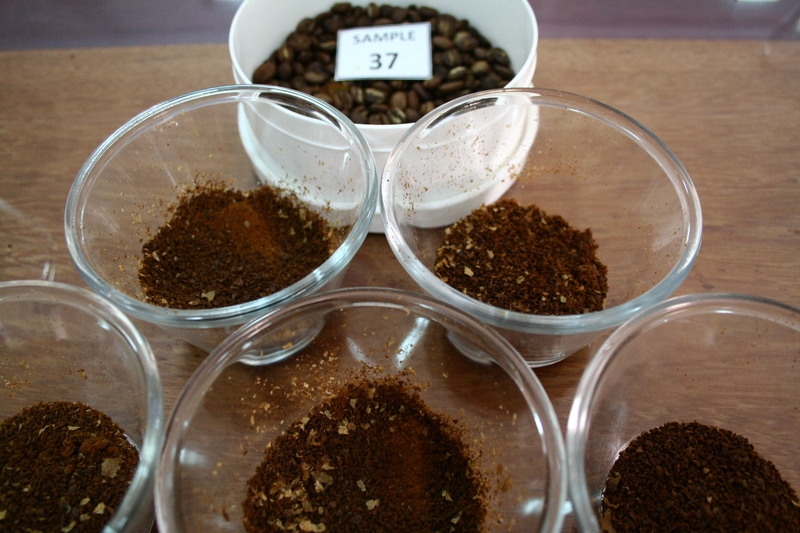 A couple of days were spent at the show cupping coffees not just from our friends at FAF but from producers and exporters all over Minas, showcasing a wider array of profiles than I had expected and surprising me in the best way. 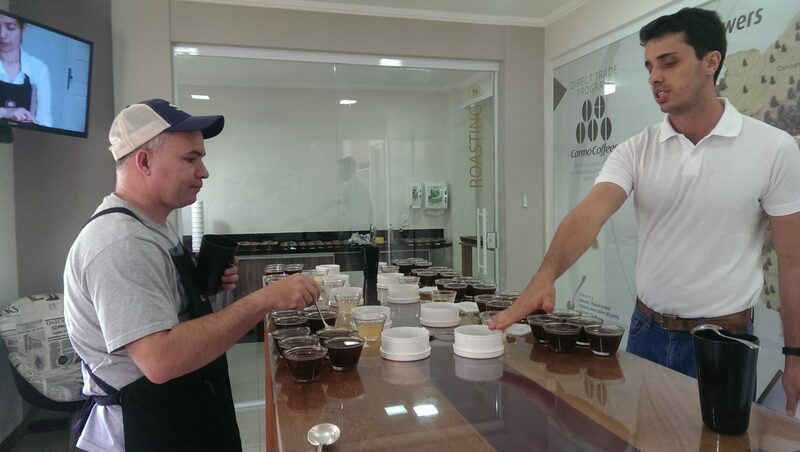 Cupping next to the likes of Bruno Souza, Isabela Raposeiras and Byron Holcomb was great for delving deeper into the nuances of coffees that they cup year round, but I tend to focus on mostly around buying time. 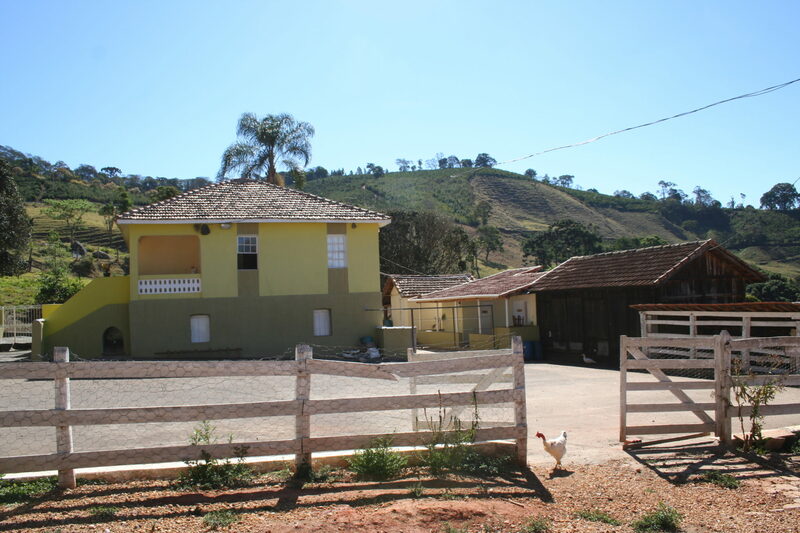 The show in Belo Horizonte provided me with a good overview of the coffees I’d encounter on the rest of my trip, but the bulk of it was to be spent visiting exporters and farms so I travelled on to Carmo de Minas where I’d be spending a few days with Carmo Coffees. We have bought a lot of coffee from them in the last few years but this was the first time I had a chance to visit and cup with them, so I prepared for a caffeinated few days. Carmo de Minas is a tiny town so I stayed in nearby Sao Lourenco, enjoying the peaceful pace, friendly street dogs and morning coffees at Jacques Periera Carneiro’s Unique Cafe. 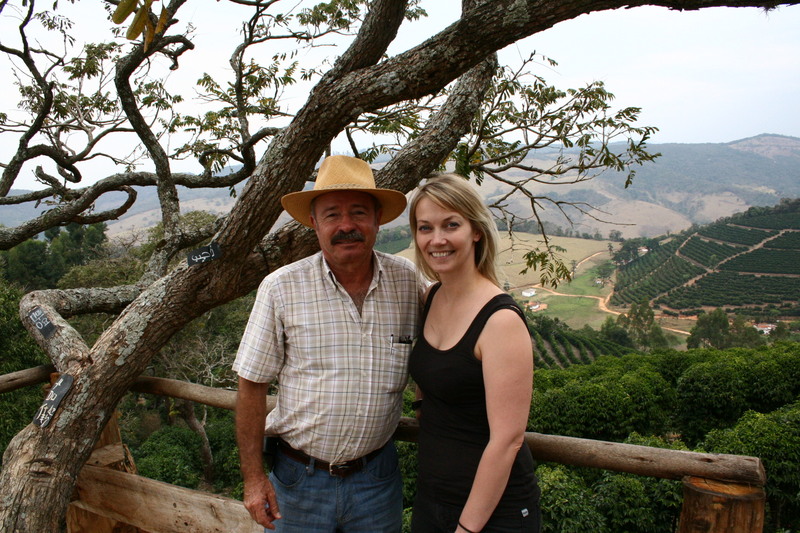 Jacques founded Carmo Coffee together with Luiz Paulo Pereira Dias Filho in 2005, and have tirelessly been promoting and raising the profile of Carmo coffees ever since. As they were both in Japan, I was looked after by Gabriel and Calixto who put me straight to work on a table of naturals, from a mix of familiar and new farms. I got pretty good with the water guns at Carmo! 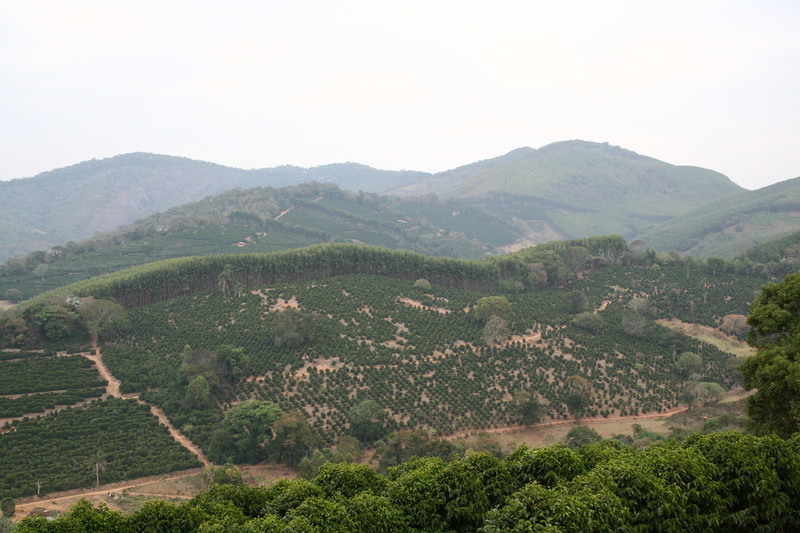 After two days of cupping I had narrowed it down to a few farms I knew I wanted to bring in, so it was time to drive further into the countryside, have a closer look at their setups and learn more about how they run. 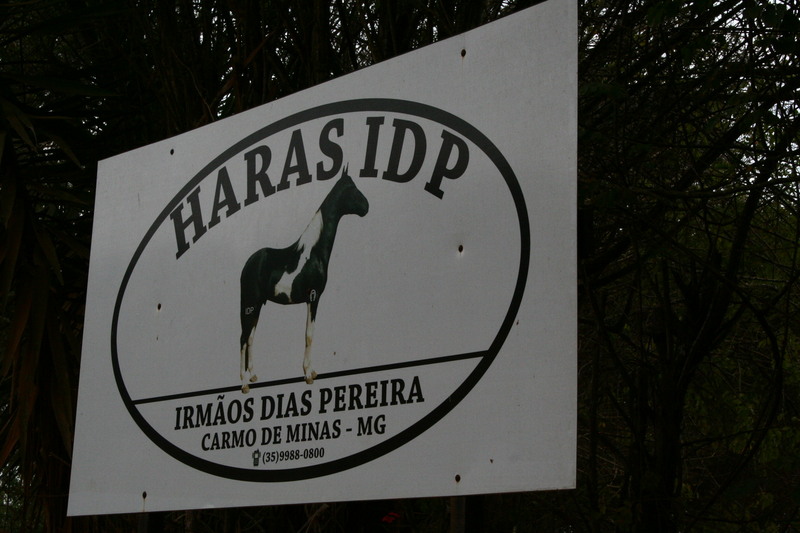 First up was the farm nicknamed Irmas Pereiras, owned by sisters Maria Valeria and Maria Rogeria Pereira. 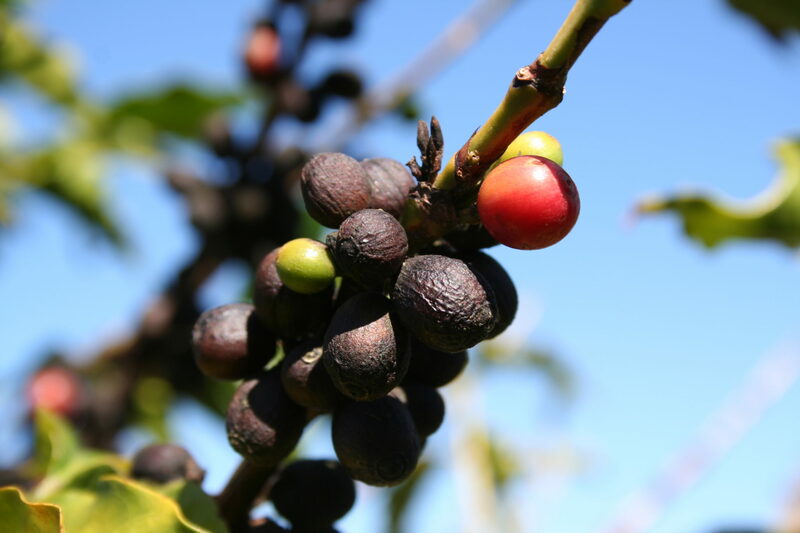 They took over the farm after their parents retired, and ventured into specialty coffee by investing in new equipment and exploring new processing methods. 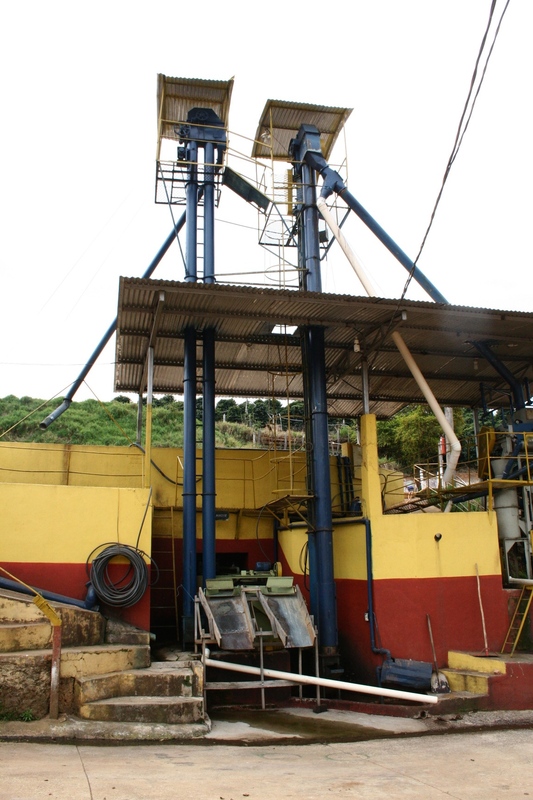 One of the machines that have proven particularly useful is their cherry colour sorter, which separates the freshly picked cherries into red, yellow, green and pasa cherries. 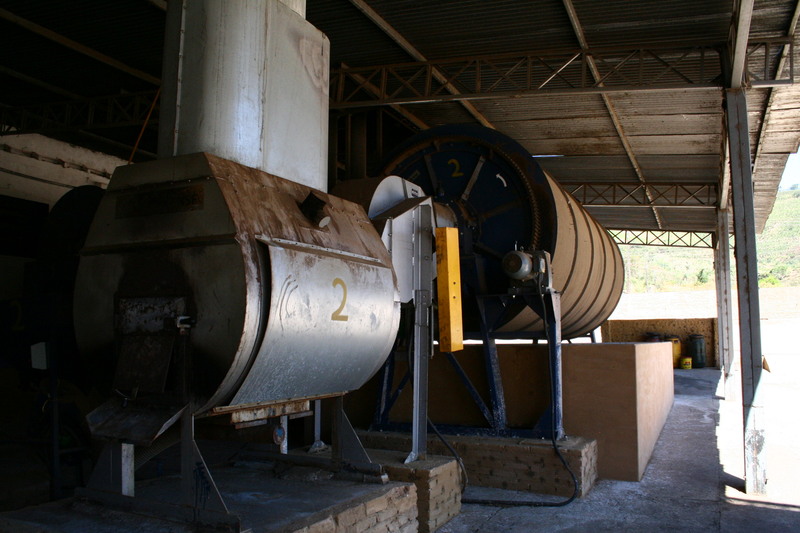 The more controlled sorting increased their production of high quality naturals from 20% to 40%. 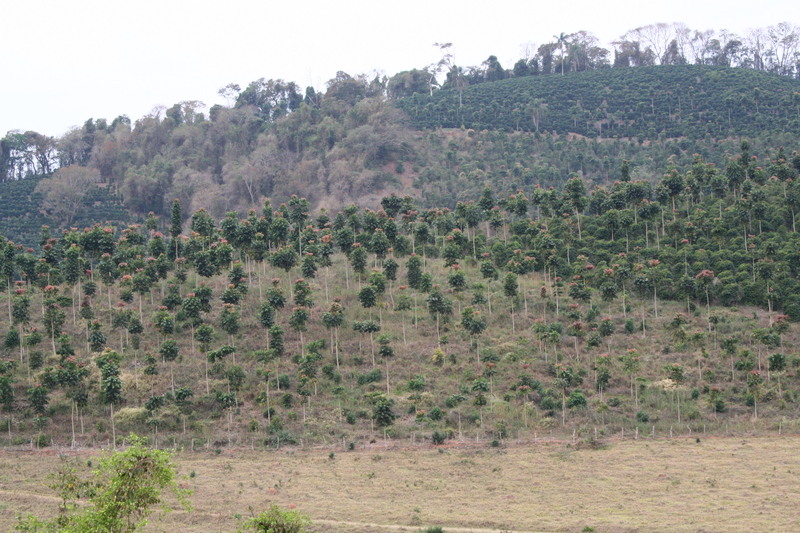 A common sight in the area, mahogany trees used as shade for the coffee. 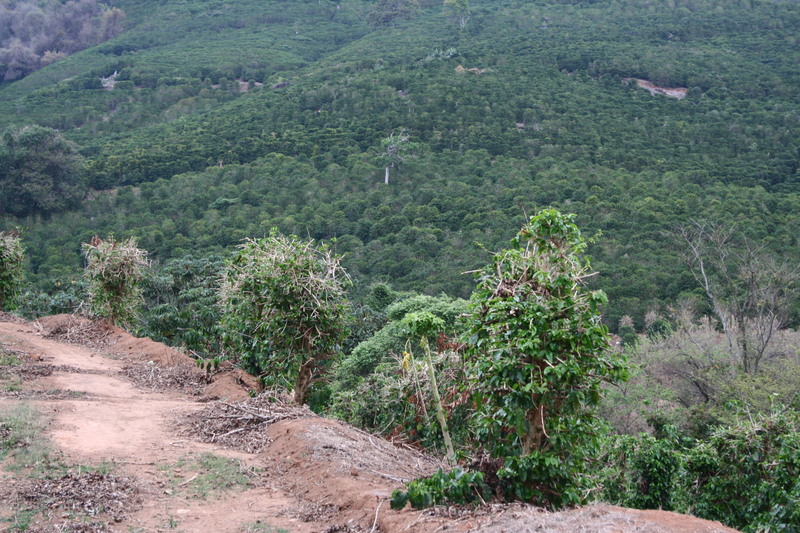 Driving up to our next stop, I got an explanation of the safrazero system of pruning coffee that is becoming popular in the area. 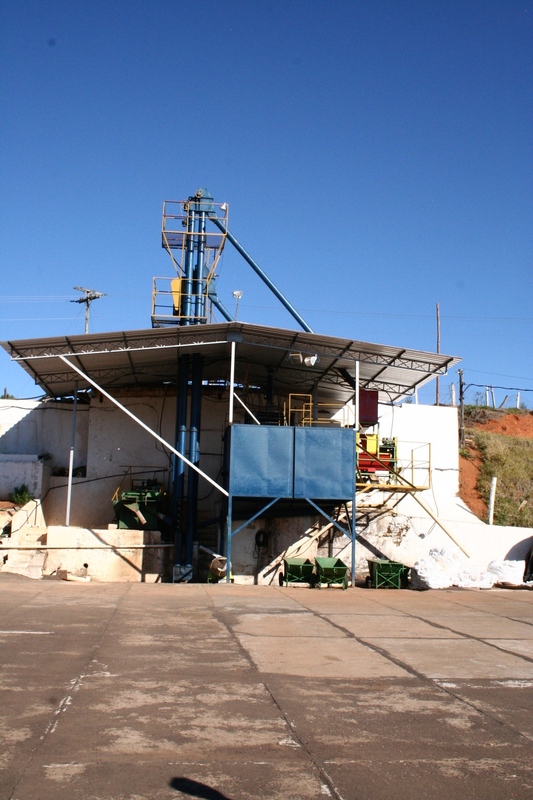 Brazil has biannual crop cycle, with low yields one year and higher yields the second. It can be very unpredictable, and makes it difficult to manage labour, fertilising plans, picking schedules and pruning patterns. 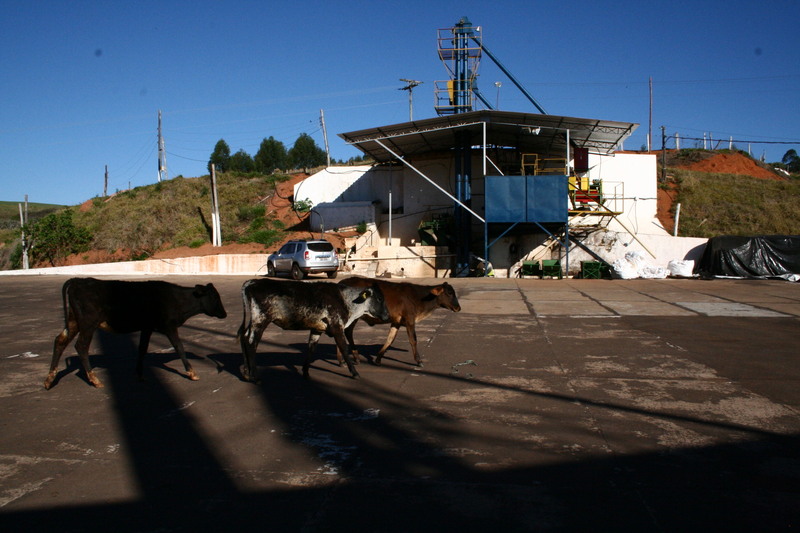 Farms fertilise and harvest their whole farms every year, which in a country like Brazil can be costly. 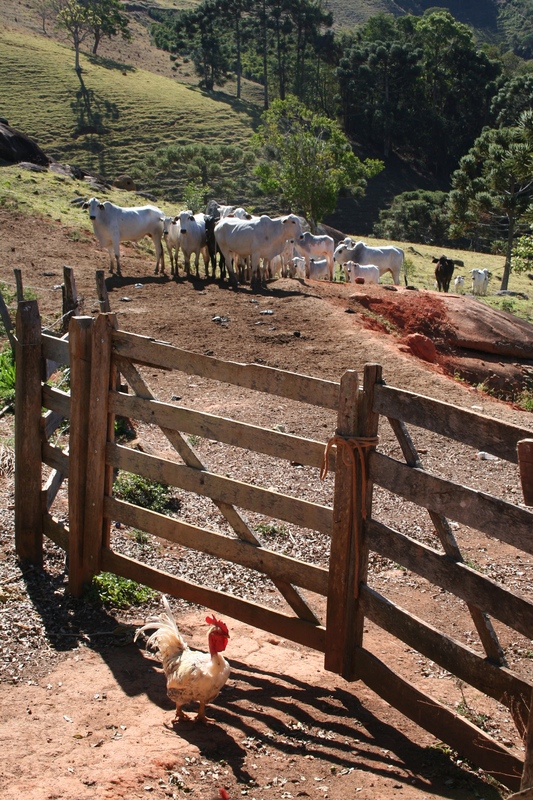 The safrazero pruning and harvesting system, especially useful in mountainous regions, allows more structured and controlled plan for fertilising and harvesting, saving both time and money. Farmers will divide the farms into two areas, let’s call them plot A and plot B. Plot A will be pruned right back, vertical and lateral branches alike. It looks almost as if only the trunks themselves are left standing. The plants of plot A won’t bear fruit that next year, but will be allowed to regenerate, being supplied with the fertilisers needed to stimulate leaf and branch regrowth. 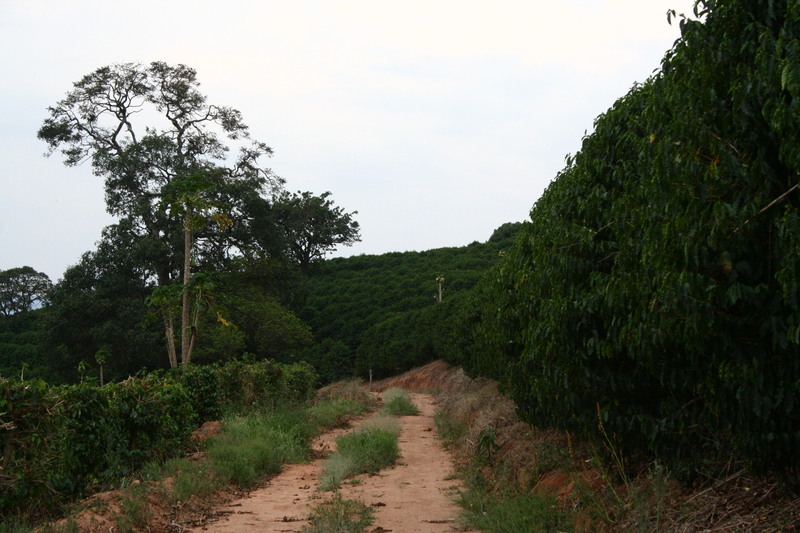 The other area, plot B, is allowed to flower and bear fruit for harvest, and is fertilised with the supplements needed for healthy fruit growth. So even if plot A won’t bear fruit that first year, plot B will give a higher yield, making up for the loss of the other. Once harvest is over, plot B gets pruned right back to the trunk, while plot A goes on to flower and bear fruit, having ‘skipped’ a year of producing cherries, but now growing near twice as many of them on the new, young shoots that have emerged. Some farmers even combine the pruning with the harvest, cutting the branches off with the cherries on them, the removing the cherries afterwards. And so the cycle continues, half the farm resting one year and producing the next, the other half doing the same but on the opposite cycle. 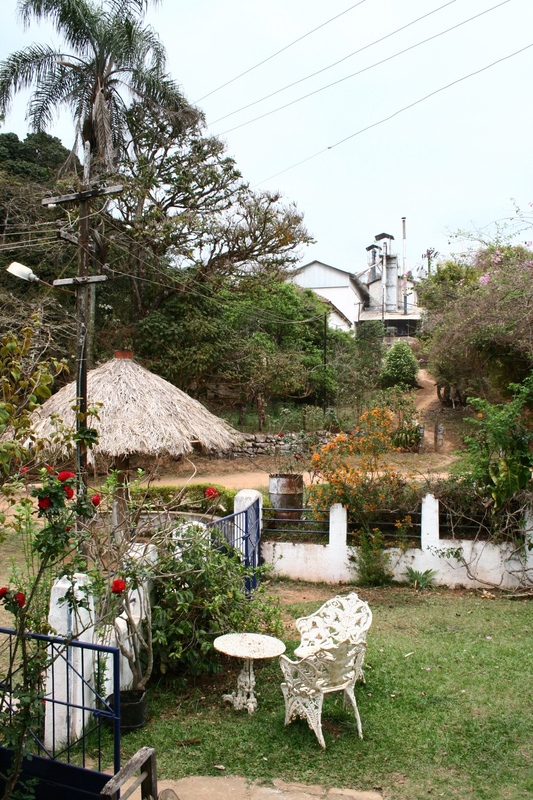 We have bought a fair bit of coffee from Sertao for the last few years, so I was really looking forward to visiting. 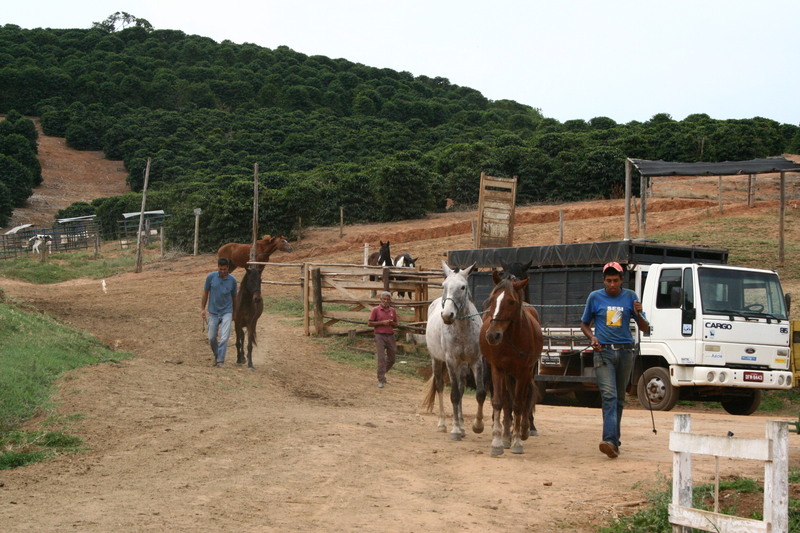 The Sertao group owns and manages farms that combined count some 860.000 trees. 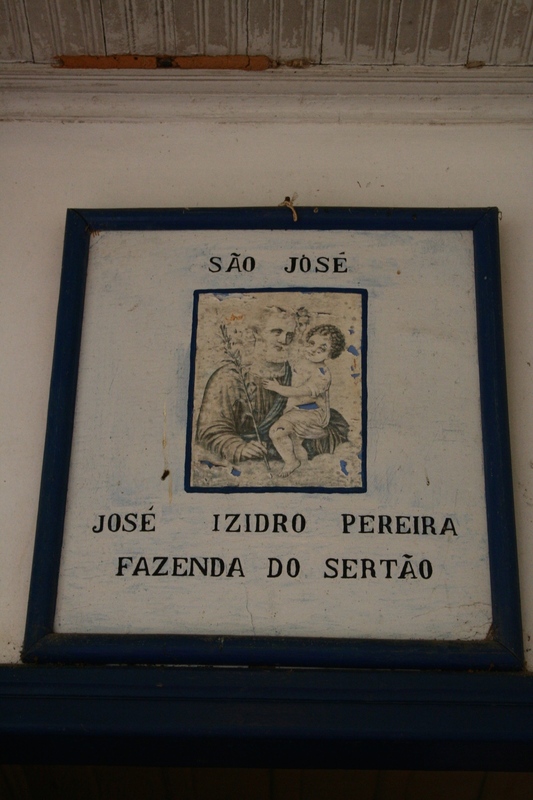 It’s a family owned group, run by the children of Jose Isidro and Nazareth Pereira. 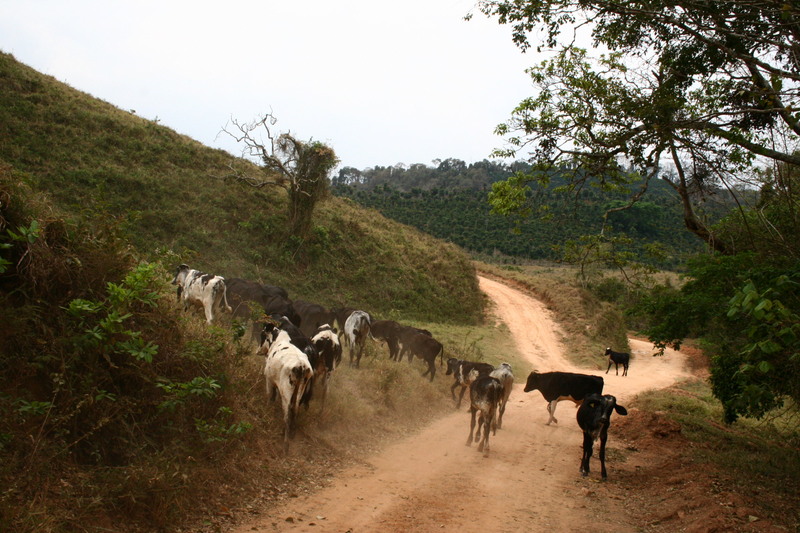 Their four kids, Francisco, Luiz Paulo, Glycia and Sandra, all work for Sertao, as do two of Francisco’s four children, while a third, a daughter, is learning to cup. 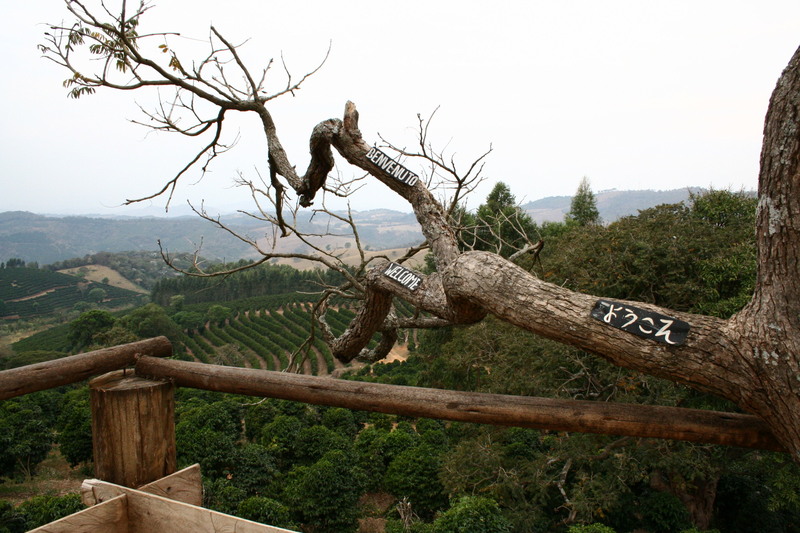 Once we got into the Sertao grounds we met with Franciso at a beautiful lookout they had built in a huge Jacaranda tree, with viewing platforms and little plackets saying welcome in different languages. 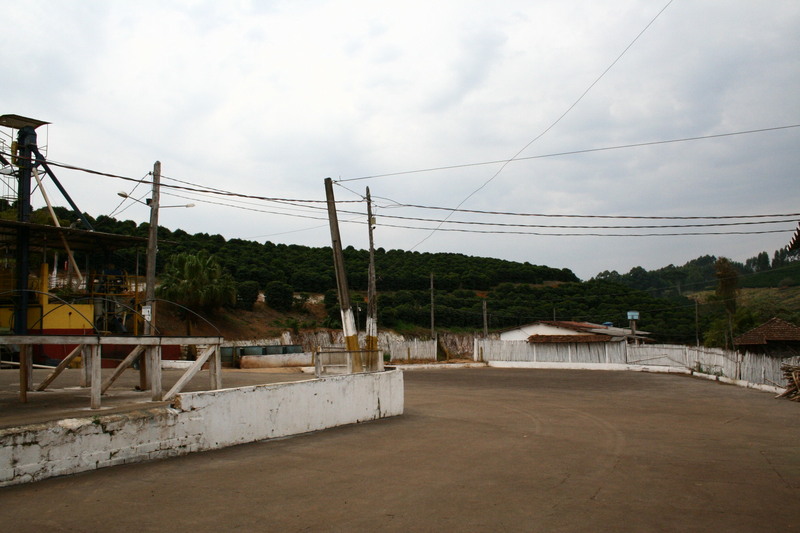 From the tree you could see the Sertao mill and the small Santa Ines plot of 100 year old trees that almost got torn out of the ground, until they produced the cherries that won the 2005 COE with 95.85 points. Last year they did the safrazero pruning on this plot, so there hasn’t been a harvest to speak of, however they’re excited to see how this method will affect trees of this age for next year. 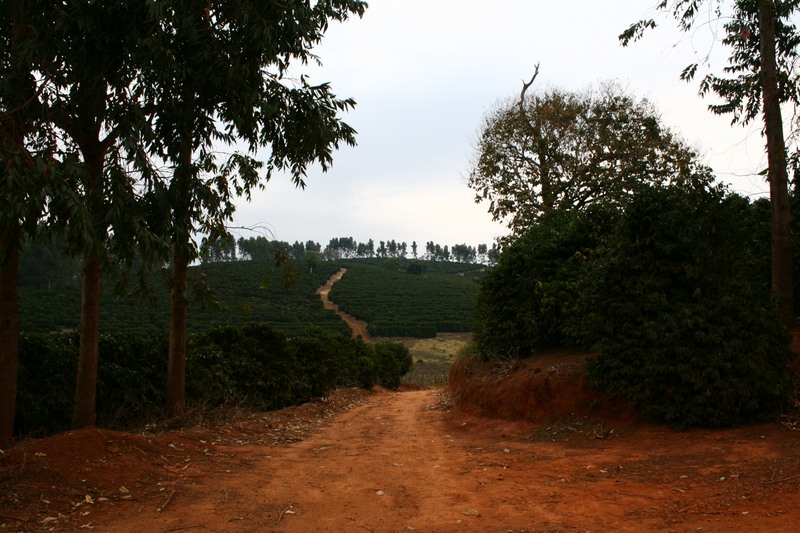 They family have continued to plant more trees in time with market demand, and are favouring planting new land at higher altitudes rather than refreshing ageing, lower altitude plots. 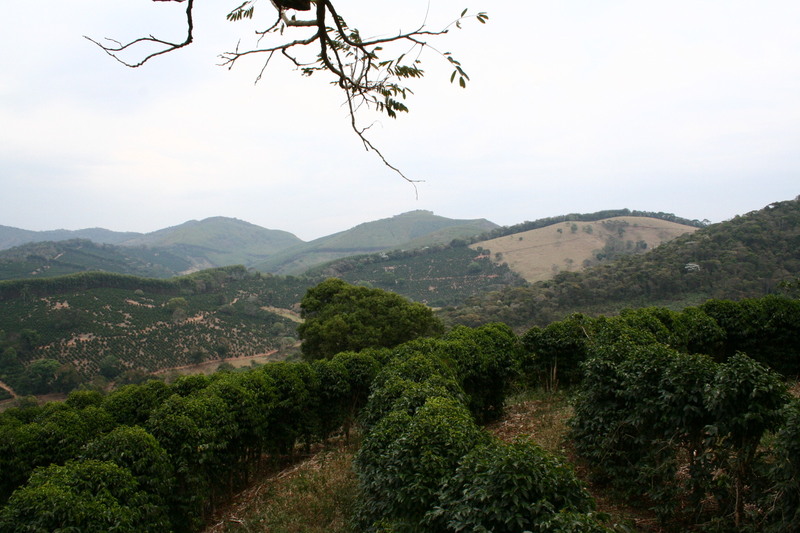 The trees are very densely planted and look more like rows of coffee hedges than the more individually spaced trees I see in Central America. 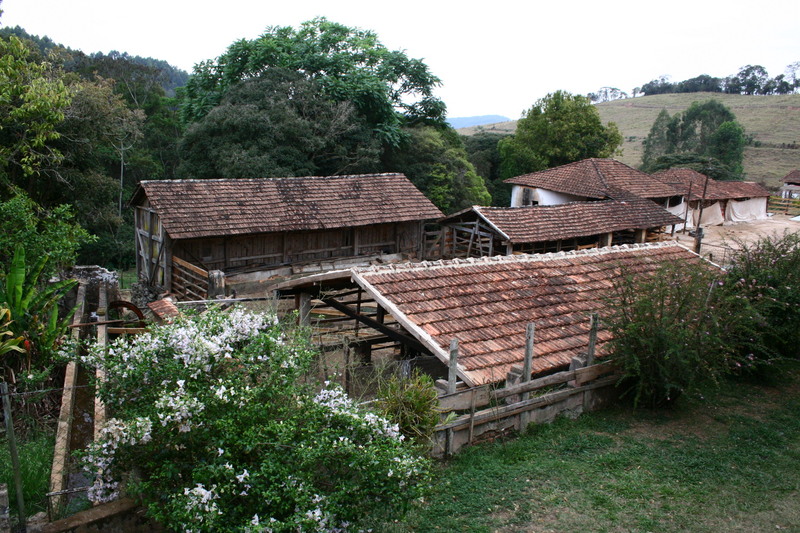 After admiring the view for a bit I was lucky enough to get a tour of the old farm house at Sertao, where lots of the family’s memorabilia is kept. 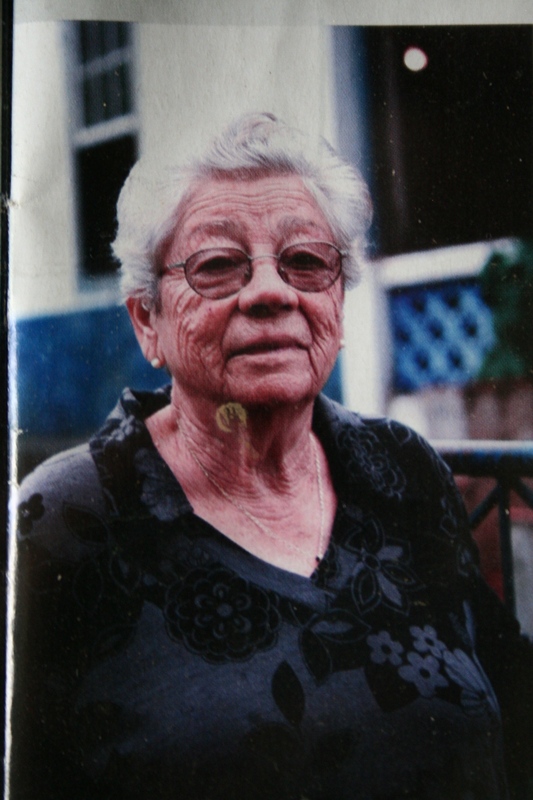 Nazareth, the woman who started it all. 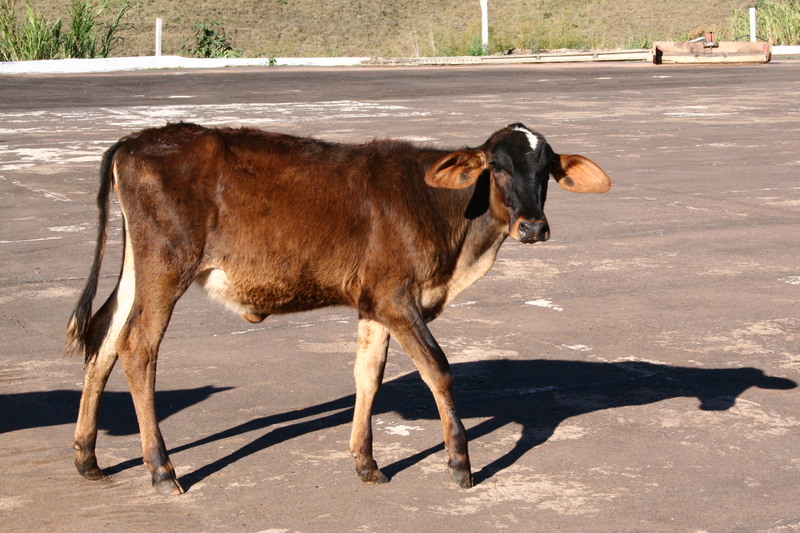 Also a passionate and very successful cattle breeder! 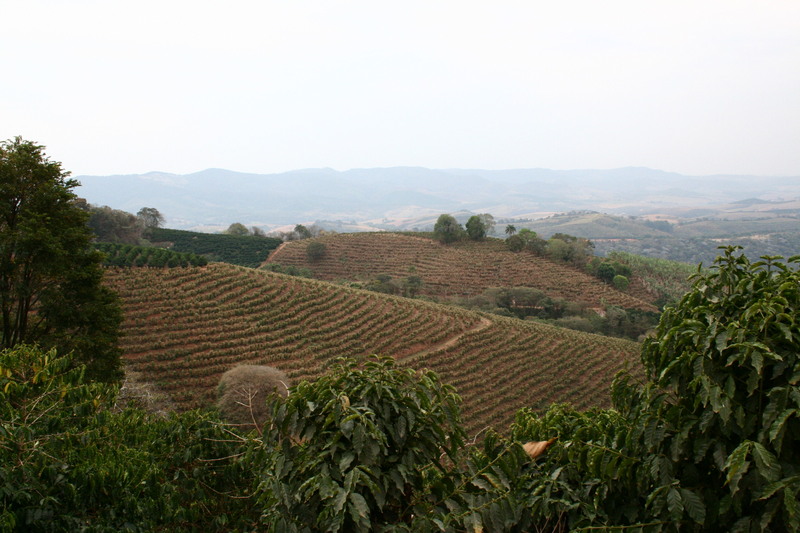 As we drove on to to check out the Santa Lucia mill, a tiny bit of rain finally fell, giving much needed water to the fields of coffee on either side of the road. The differences in pruning was evident, on one side you’d see the trees that had been safrazero’ed last year (to be the 2015 crop) and this year (to be the 2016 crop). The difference a year makes: on the left hand side of the road are trees that were safrazeroed in 2014 year and won’t bear fruit till 2016, and on the left hand side are trees that were safrazeroed in 2013 and will bear fruit in 2015. 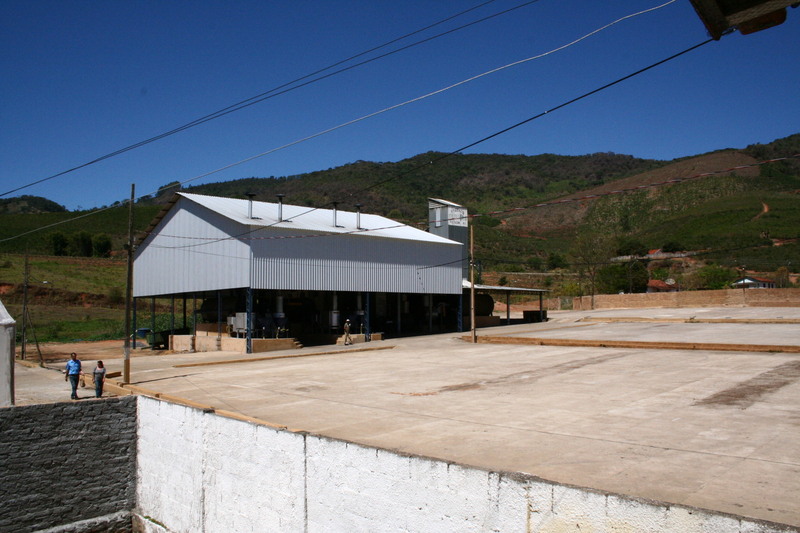 The Santa Lucia mill lies at lower altitude and in a valley, and has little coffee in its immediate proximity. 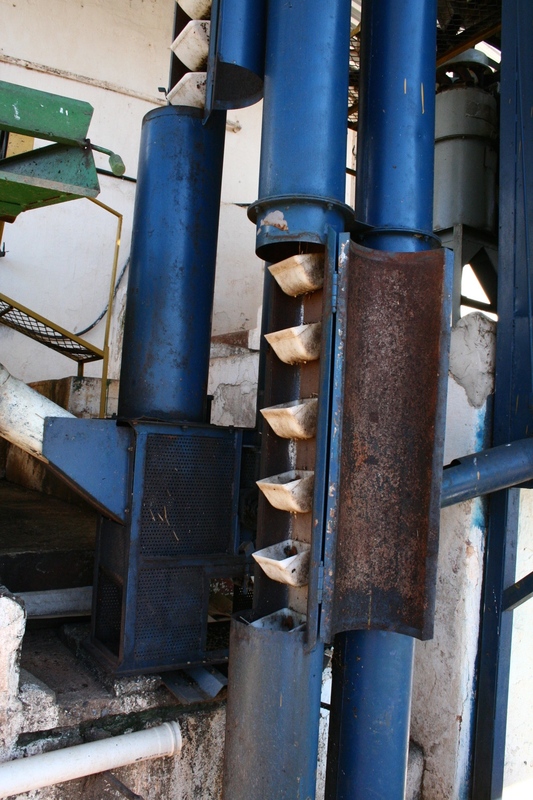 They use a Penagos mill, preserving water, and another of their interesting machines is the Centriflux- a pulp centrifuge of sorts. 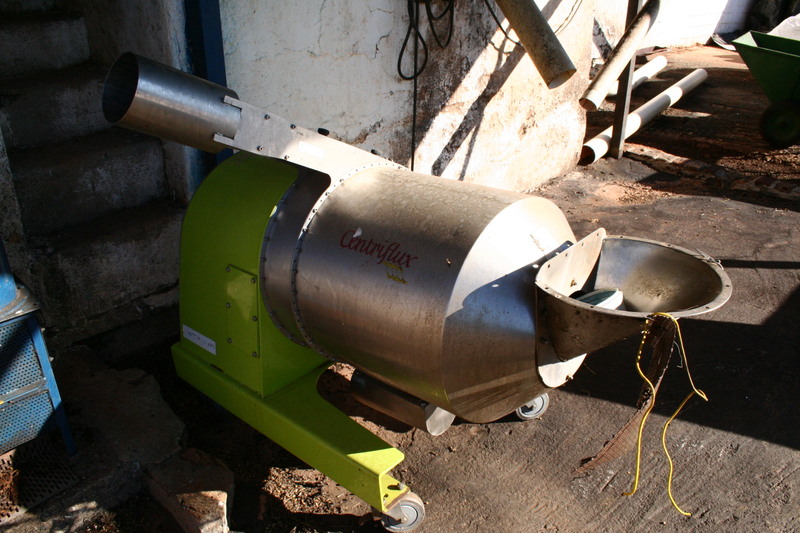 After pulping, running the parchment through the centriflux reduces the mucilage to 30-40% moisture, saving 3-4 days off the patio drying time. 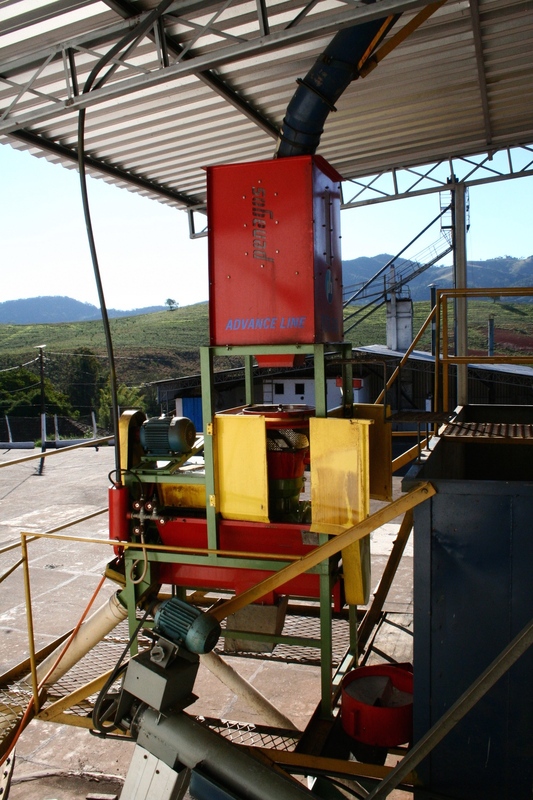 Instead of subjecting the coffee to the heat of the guardiolas, this dries the coffee in a more efficient manner without making the quality suffer. Outside of harvest, when there is no cherries on the patio, it is taken over by the neighbours! Just passing over the patios to the next pasture! 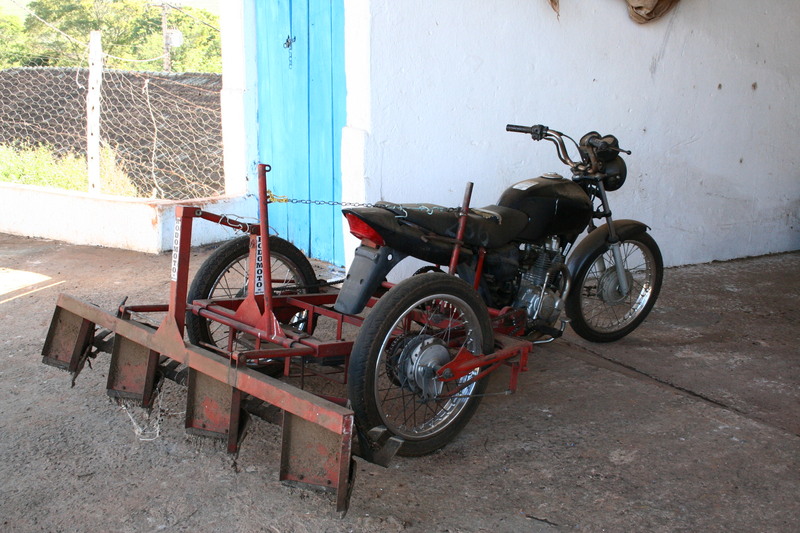 Instead of turning the parchment by walking through with rakes, these guys found a motorised option. 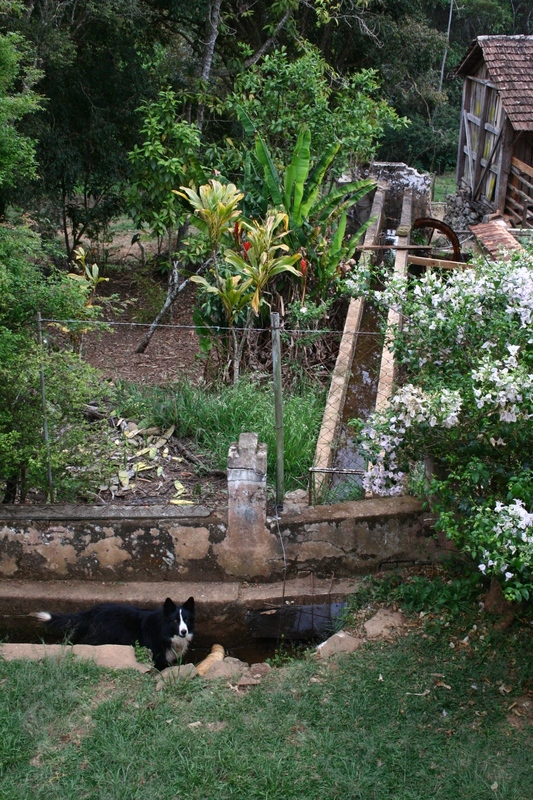 We also had the chance to stop by a mill owned by Carmo themselves, purchased 5 years ago from the Furnas Farm. 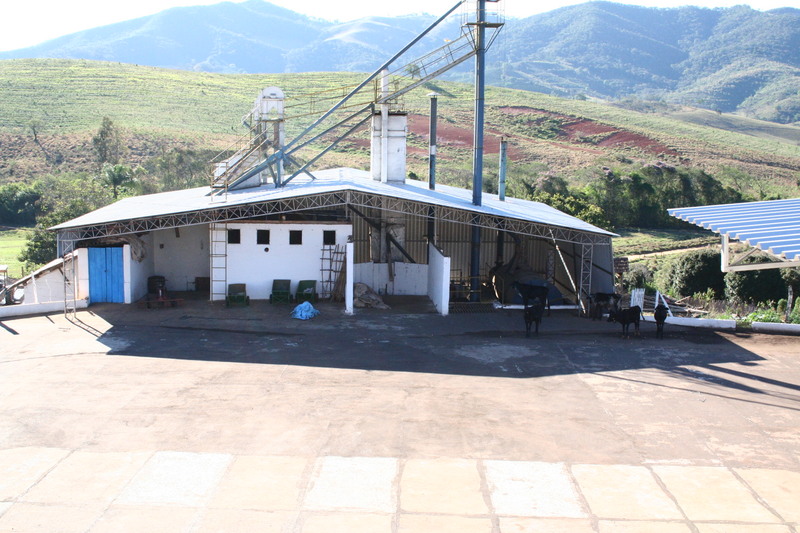 Under the new name of Pedralva, they now process 10-15.000 bags from several farms in the area, using both patio and guardiola drying. 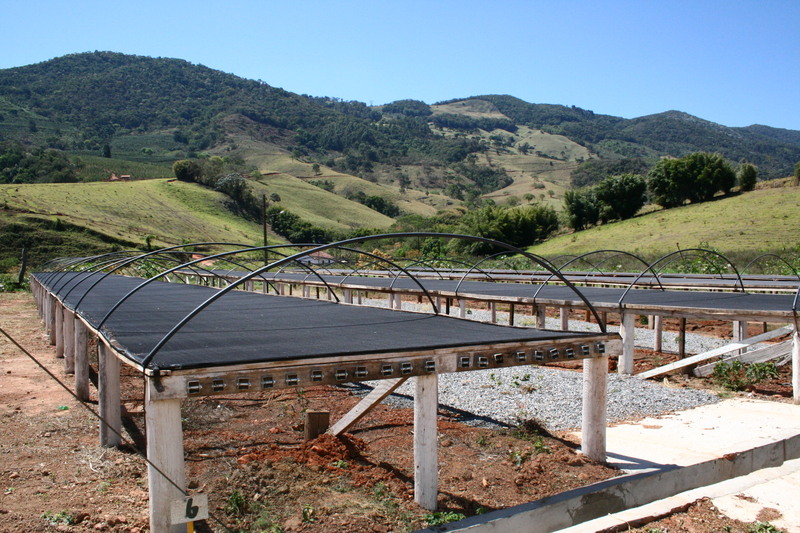 Wood from the pruning at farms fuel the guardiolas, and a couple of the patios were covered in a greenhouse structure. A few raised beds were also under construction. 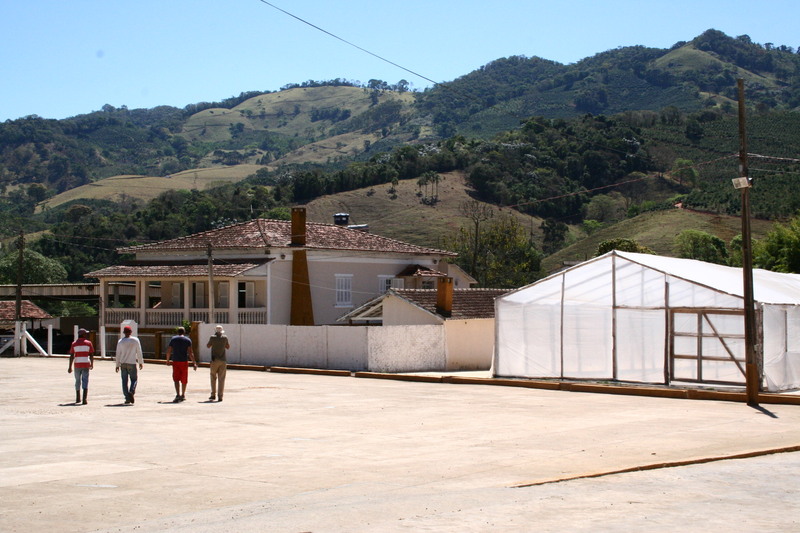 Pedralva offices with new greenhouse covered drying patio next door. 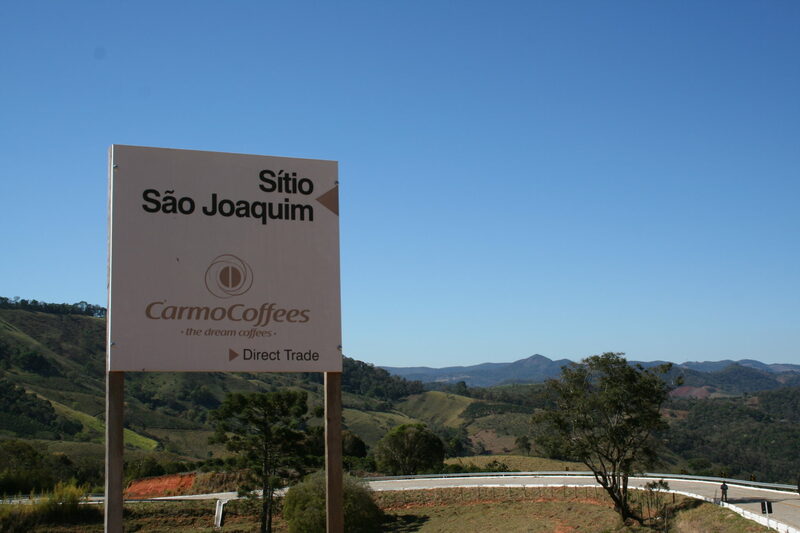 One farm that I didn’t have the chance to cup coffees from, but had a great opportunity to visit, was Sitio Sao Joaquim. 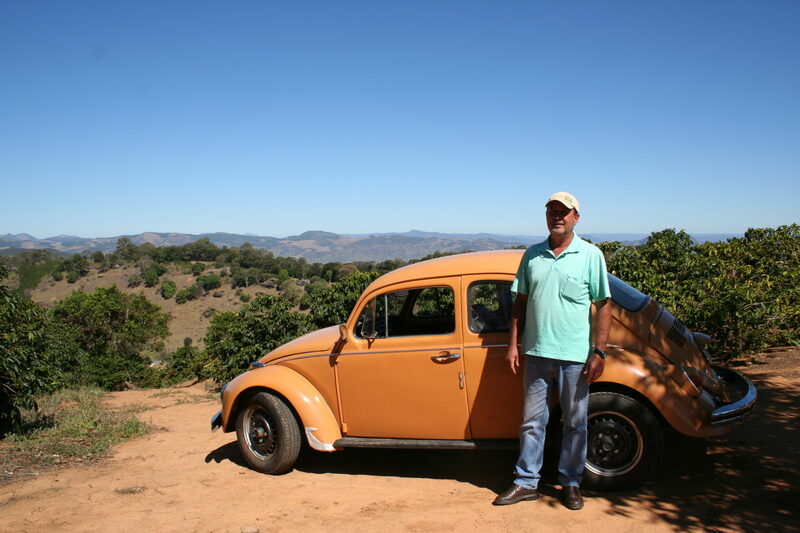 We met up with Jesimar de Oliveira Sandi, one of the 3rd generation of the Oliveira Sandi family of coffee growers who have had great success in the COE with their family farms. 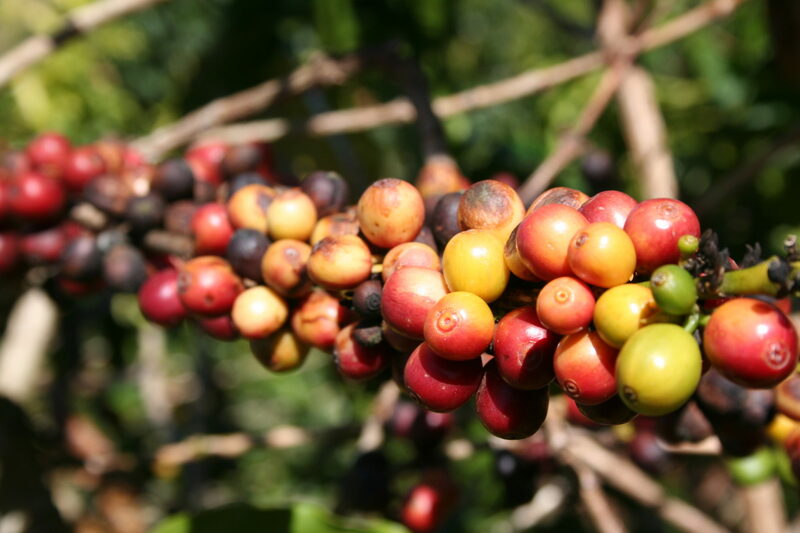 At 1380masl, the farm only produces microlots, and Jesimar attributes the quality of the coffee to their healthy yellow catuai stock, good altitude and north east facing aspect. His pride and a bit of friendly competition was evident as he pointed out a higher lying but south west facing farm on the other side of the valley, which had placed behind them in the COE. 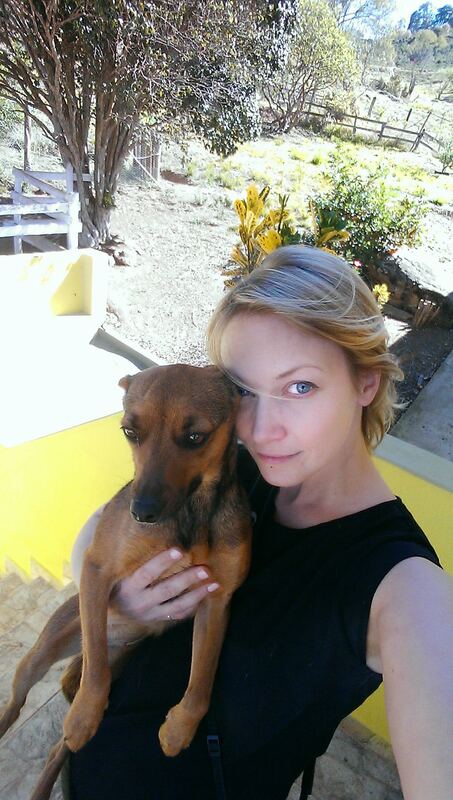 In addition to a drive around the fields that were first planted in 1953, I also got a tour of the beautiful farm house where I got to play with 2 of the gorgeous rescue dogs that Jacimar had adopted, finally a chance to get some quality dog time! Jesimar and his awesome car! I wouldn’t have thought it, but it actually made a really great farm vehicle! 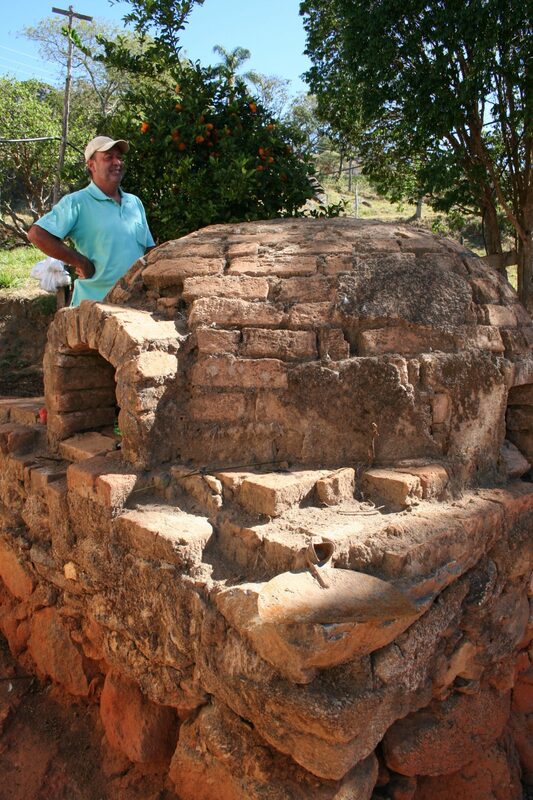 The old bread oven at Sao Joaquim. I want one at the roastery! Selfie with a dog. You know me, it’s gotta be done!